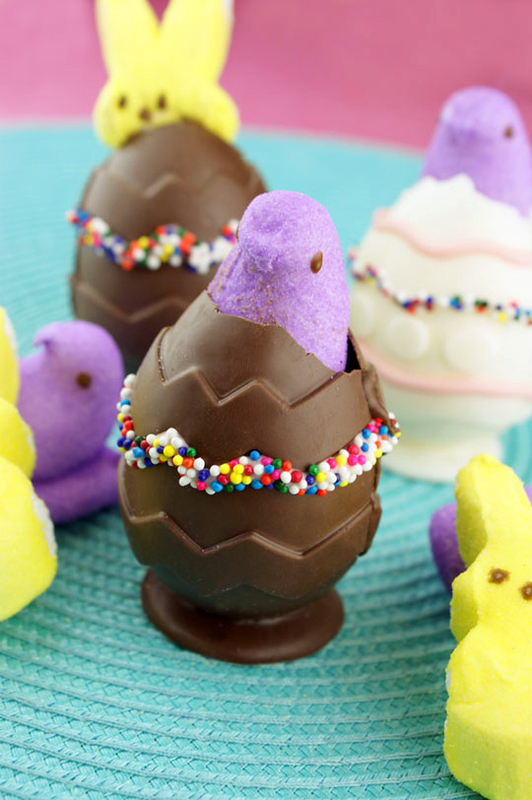 What better way to eat a Peep than in a chocolate Easter egg? Two weeks ago I bought about five dozen peeps. Pink ones, purple ones, yellow ones, blue ones, limited edition ones(! )… all in attempt to making something fun and creative for the Peeps Hop Along Party. 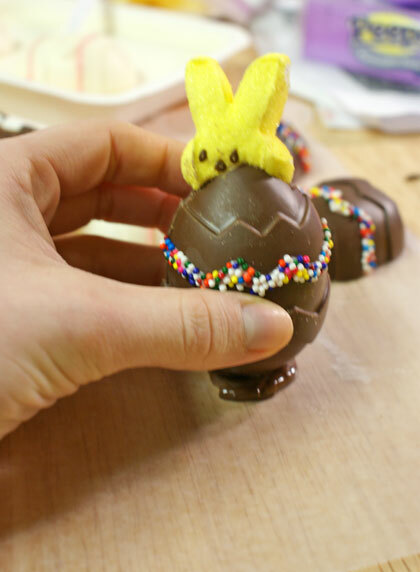 Something more than just a chocolate dipped peep. I ended up with these guys. Peeping peeps, or they could be hatching, but bunnies hatching out of eggs is just silly. So just roll with me, ok? 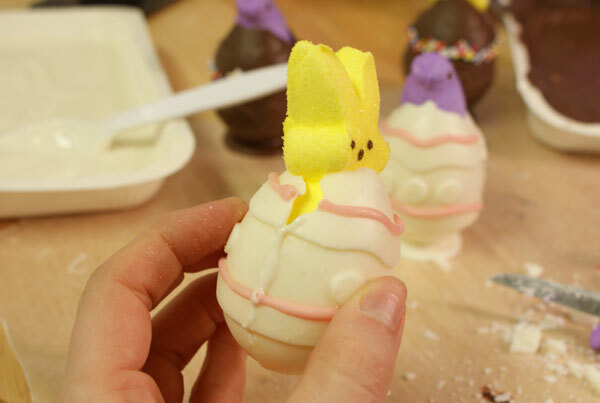 Only this time I added a base to the egg and stuffed them with Peeps! Fill your silicon mold with a spoonful or two of CandiQuik, using the back of a spoon to push the coating up the sides. If your sides feel thin, you may want to repeat this process. Using a small knife, I trimmed the top of each egg. Don’t worry if it’s not perfect, this makes it look more natural! 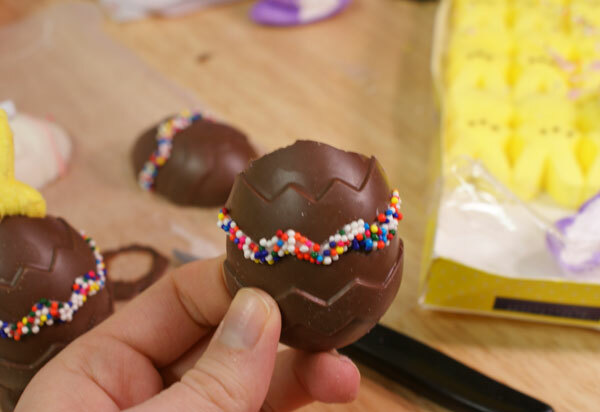 I also cut the bottom half of each peep off. You can decide what to do with the leftover marshmallow, I’m confident it will go to good use. I used a toothpick to apply CandiQuik along the edge of one egg to act as a glue and hold both halves together. 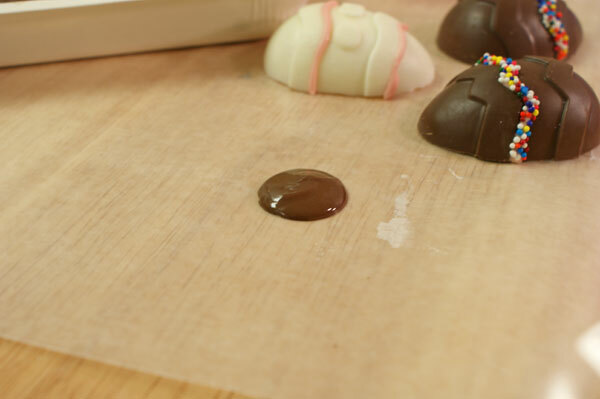 Then spoon a tiny amount of CandiQuik on wax paper and press your egg on top, hold in place until the egg is able to stand on its own (this should only take a few moments). Sorta cute, don’t you think!? Thanks to Christi (Love From the Oven) and Michelle (Sugar Swings! Serve Some) for organizing this Spring Hop Along PEEPS Party! Also! There is a PEEPS Giveaway! If you’re interested, enter HERE. 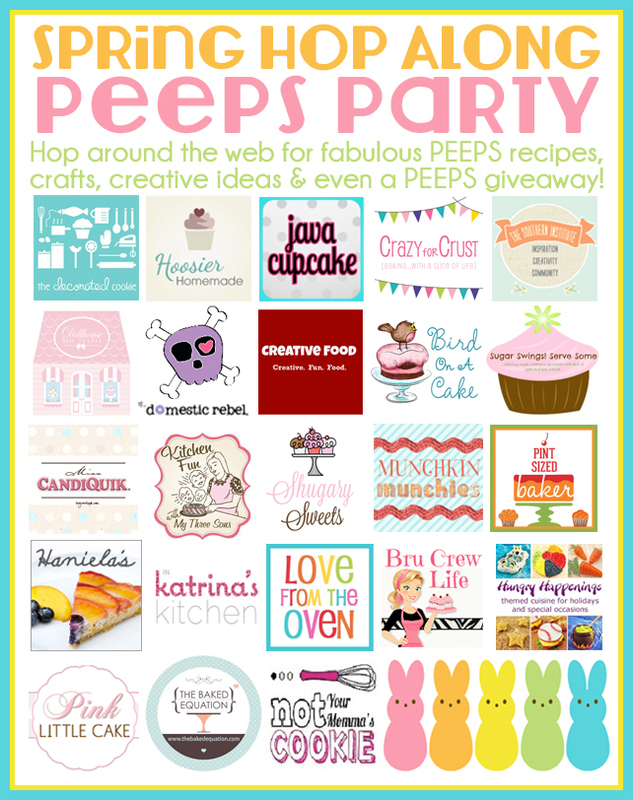 Be sure to hop on over to the following sites, they are all delivering a super cute PEEP idea! 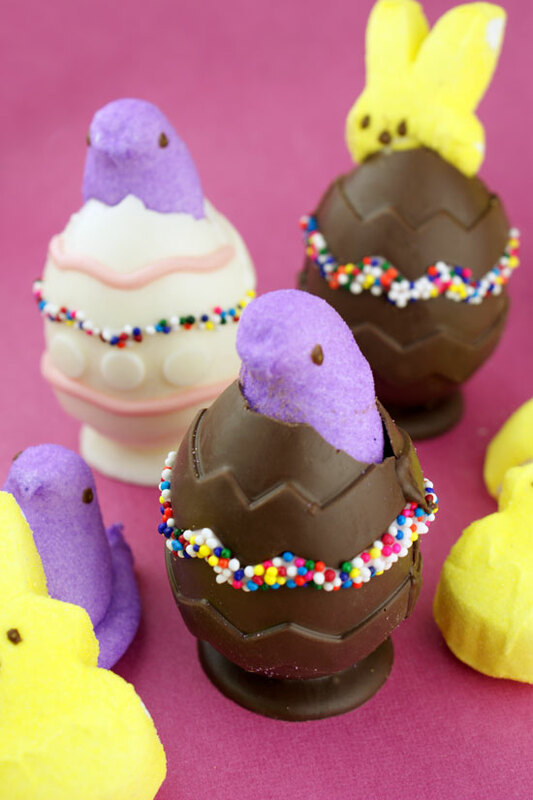 Ooohhh chocolate and PEEPS. YUM! The bunny in white chocolate is my favorite! I love hatching Peeps! So cute! Oooo! i love these! and the bunny coming outta the egg looks right to me! How cute is that? I have never seen that mold before. I absolutely love it, I mean peeps and chevron, is awesome! Your Peeping Peeps turned out great! HA! The bunny coming out of the egg!! Loooove it! Oh man I love them peeping peeps! 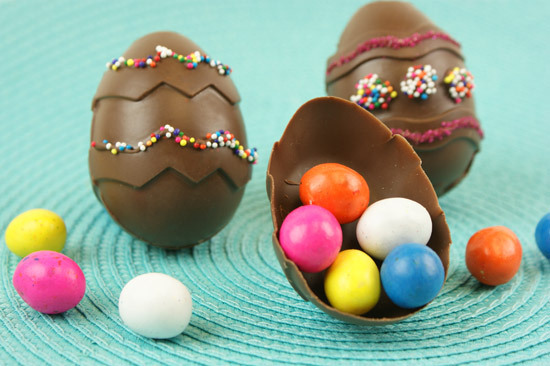 And you used the molds for this (I have a secret obsession with using candy molds for multiple uses!!) thanks for playing today!!!! It is time for me start believing in those silicone molds I love these! These are beyond cute and creative! Bravo! That purple chick peeking out is totally cracking me up! I love these Sarah!!!! 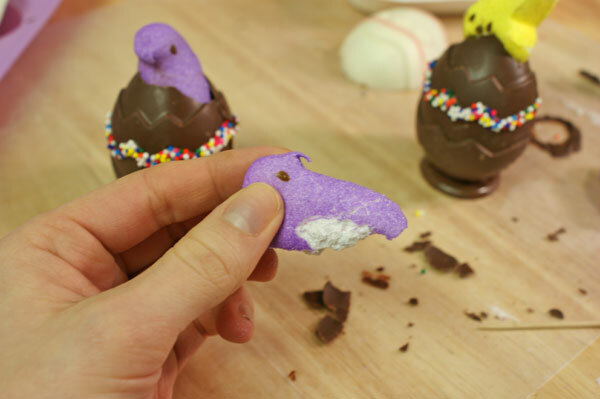 I haven’t had a peep in years. I love this idea this very creative great job! I hadn’t had them for quite some time either! Thanks for stopping by, Marjorie!